Mozart was certainly among the "domestic deities" of Viennese pianist Friedrich Gulda. He repeatedly played Mozart's piano music in his concerts and had it recorded. In so doing, this classically-trained musician, who had already played successfully in jazz bands at a young age, ignored the strict limits imposed by genres: he wanted to show audiences that there are no distinctions between musical styles whenever good music is played honestly and conscientiously. On June 27, 1982, Gulda again appeared at Munich’s “Klaviersommer” festival. His partner was the jazz pianist Chick Corea, and the collaboration of both musicians is documented on the CD (and DVD) “The Meeting” – a standard in recording history. Until now, only the famous second half of this concert has been available and not the first, which Gulda performed on his own and was devoted primarily to Mozart. 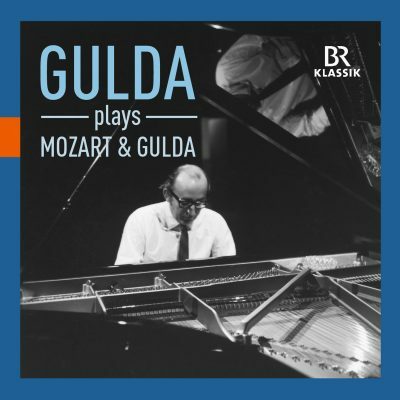 Gulda thus used Mozart’s piano music as a kind of introduction to the world of jazz improvisation. The first part of this legendary concert, performed at the Deutsches Museum in the summer of 1982, took the soloist Gulda over 40 minutes to perform, even though he “only” played Mozart’s Piano Sonata in C Major K 330. But he began and ended it with his own improvisations, which sound less than Mozartian, even though they do contain a broad and subtle range of different styles and effects, catchy melodies, and violent cascades of sound. He experiments with his instrument and he experiments with sound – and then plunges almost immediately into the first movement of Mozart’s sonata. Having played it, he begins to improvise and fantasize again. Gulda proves to be a highly gifted interpreter of Mozart as well as a mischievous improviser on the piano – who also wants to entertain and can do so on a high level. – As a transition to the second part of the concert, he performs two of his own compositions, which can also be heard on this CD from BR-KLASSIK. It is a piece of good fortune that the Bayerischer Rundfunk has now made the first half of this concert event accessible to a wide audience too. The recording begins and ends with Mozart’s rarely-heard Rondos for Piano and Orchestra in A Major KV 386 and D Major KV 382. Gulda played them on October 4, 1969 in the Herkulessaal of the Munich Residenz, accompanied by the Symphonieorchester des Bayerischen Rundfunks under Leopold Hager. Both rondos were composed as alternative movements for piano concertos, but even removed from their concerto contexts they have lost none of their brilliance and power. The Rondo in D Major KV 382 is actually a set of variations on a theme that can hardly be surpassed in its simplicity. And that’s exactly what Gulda liked: just like Mozart, he was an ingenious prankster, working away at the sound with delight, yet without the slightest audible effort. Gulda combines Mozart’s supposed simplicity with the finesse of a grandiose performer who is in fact laughing up his sleeve.